This is a category list of all my articles related to getting appliances repaired. The articles cover a wide range of related issues so it's well worth browsing through them. You might be surprised how interesting or useful some of them are. Are Free Estimates Really Free? Do I have to wait in all day for an engineer? 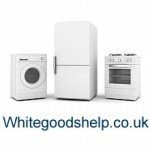 A look at the problem of waiting in all day for an engineer If you need to have an appliance engineer to fix your white goods appliance it can be very inconvenient. Most competitive repair companies and local engineers are very good at giving time-slot appointments these days. They try to work around our needs. Why are there so many appliance repair horror stories?